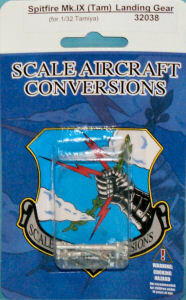 This release is one of more than 30 landing gear sets available in 1/32 scale and is targeted for the magnificent Tamiya 1/32 Spitfire Mk.IXc kit. This kit has some amazing detail but some modelers will want to have some additional strength in their landing gear to getter support this stout model. 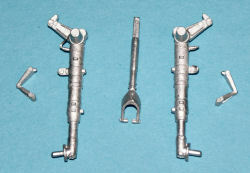 The set includes the two main gear struts which are drop-in replacements for the kit gear, two sets of strut oleo scissors, and one tail wheel strut and fork. The casting on these parts is well done. With many of the SAC landing gear struts, you can install them after the model is completed to perhaps repair a broken strut or simply upgrade the stock gear. 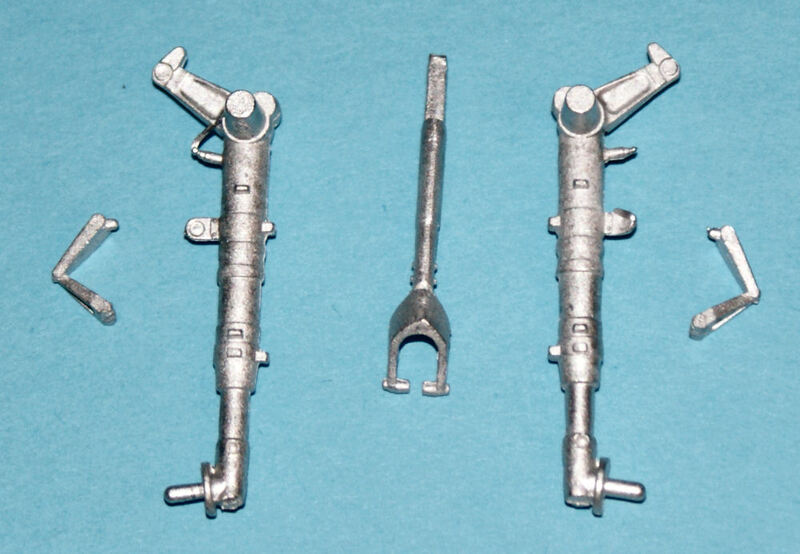 With the Tamiya main gear struts, you'd best decide to use these in advance if you don't want to do some painful surgery to get these in after the model is completed.